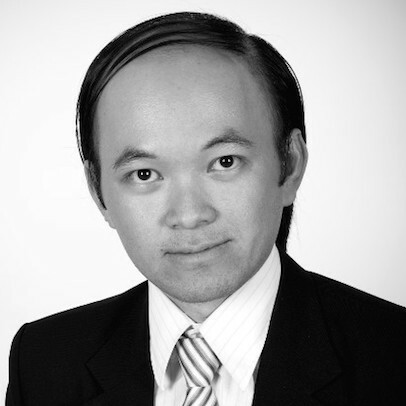 Dr Quoc-Tuan Vien received his BSc (Hons) degree from Ho Chi Minh City University of Technology, Vietnam, in 2005; his MSc degree from Kyung Hee University, South Korea, in 2009; and his PhD degree from Glasgow Caledonian University, UK, in 2012, all in telecommunications. From 2005 to 2007, he was with Fujikura Fiber Optics Vietnam Company, Binh Duong, Vietnam, as a Production-System Engineer. From 2010 to 2012, he worked as a Research and Teaching Assistant with the School of Engineering and Built Environment, Glasgow Caledonian University. In Spring 2013, he worked as Postdoctoral Research Assistant with the School of Science and Technology, Nottingham Trent University, Nottingham, UK. In June 2013, he joined Middlesex University, London, UK, as a Lecturer in Computing and Communications Engineering, where he is currently a Senior Lecturer with the Faculty of Science and Technology. He has authored one textbook "Network Design, Modeling and Performance Evaluation", authored/co-authored two books, five book chapters and over 70 publications in major conference proceedings and ISI journals where he is a leading author of 45 papers. His current research interests include physical layer security, network coding, non-orthogonal multiple access, energy harvesting, spectrum sensing, device-to-device communications, relay networks, cognitive radio networks, heterogeneous networks, wireless network-on-chip, public safety networks and cloud radio access networks. He was a recipient of the Best Paper Award at the IEEE/IFIP 14th International Conference on Embedded and Ubiquitous Computing in 2016. He has been the Editor of the International Journal of Digital Multimedia Broadcasting, the Guest Editor of the EAI Endorsed Transactions on Industrial Networks and Intelligent Systems, the Program Co-Chair for the EAI International Conference on Industrial Networks and Intelligent Systems (INISCOM 2018), the Technical Symposium Co-Chair for the International Conference on Recent Advances in Signal Processing, Telecommunications and Computing (SigTelCom 2017, 2018), and a TPC member of over 100 conferences such as the IEEE PIMRC, ICNC, VTC, ISWCS, ATC, etc. He has also served as a Session Chair at IEEE flagship conferences including the IEEE WCNC, VTC, and ISWCS. He was honored as an Exemplary Reviewer of the IEEE Communications Letters in 2017. Dr Vien is currently a Senior Member of the IEEE and a Fellow of the HEA. Textbook: "Network Design, Modeling and Performance Evaluation"
Detailed application information and procedure are available at https://www.mdx.ac.uk/courses/postgraduate-research-degrees/academic-research-degrees-mphil-and-phd. Adeola Abraham Omorinoye (PhD thesis at Middlesex University, 2017 - ) (Director of Studies) - Research topic: "Energy and spectrum efficiency for dense small cell networks"
Ibrahim Abdulkadir (PhD thesis at Middlesex University, 2017 - ) (Co-supervisor with Dr R. Trestian) - Research topic: "QoS-based effective resource management framework for hybrid software defined networking"
Jalal Aldossari (PhD thesis at Middlesex University, 2015 - ) (Co-supervisor with Dr A. Lasebae) - Research topic: "Physical layer security: secrecy performance analysis and design of cooperative communication systems"
Kamran Ali (PhD thesis at Middlesex University, 2013 - ) (Co-supervisor with Dr H. X. Nguyen) - Research topic: "Architecture design for disaster resilient management network using D2D LTE technology"
Namadev Bhuvanasundaram (PhD thesis at Middlesex University, 2014 - ) (Co-supervisor with Dr H. X. Nguyen) - Research topic: "Enabling technologies for interference-limited 5G wireless systems"
Lakshmi Priya Thiruvasakan (2017) thesis: "Flow Optimization for Traffic Engineering in Software-Defined Networks"
Rachana Jannapureddy (2017) thesis: "Auto Scaling and Sentiment Analysis for Big Data on Cloud Environment"
Sharaifa Alnasser (2016) thesis: "Optimisation of Queuing Management in Computer Networks Subject to QoS Requirements"
Muhammad Ali Hassan (2016) thesis: "Software Defined Networking in Wireless Sensor Networks"
Abdullahi Musa Bello (2015) thesis: "Physical Layer Network Coding and Cooperative Jamming for Securing Cooperative Relay Networks"
Q.-T. Vien, Network Design, Modelling and Performance Evaluation, IET Books, ISBN 978-1-78561-336-4, 2018. [J29] Q.-T. Vien, T. A. Le, H. X. Nguyen, and T. Le-Ngoc, "A physical layer network coding based modify-and-forward with opportunistic secure cooperative transmission protocol," Mobile Networks and Applications, 2018 (to appear). [J28] K. Ali, H. X. Nguyen, Q.-T. Vien, P. Shah, and Z. Chu, "Disaster management using D2D communication with power transfer and clustering techniques," IEEE Access, vol. 6, pp. 14643-14654, 2018 (download). [J27] A. Omorinoye and Q.-T. Vien, "On the optimisation of practical wireless indoor and outdoor microcells subject to QoS constraints," MDPI Applied Sciences, vol. 7, no. 9, pp. 1-15, 2017 (Invited Paper) (download). [J26] T. A. Le, Q.-T. Vien, H. X. Nguyen, D. W. K. Ng, and R. Schober, "Robust chance-constrained optimization for power-efficient and secure SWIPT systems," IEEE Transactions on Green Communications and Networking, vol. 1, no. 3, pp. 333-346, Sept. 2017 (Invited Paper) (download). [J25] Q.-T. Vien, M. O. Agyeman, T. A. Le, and T. Mak, "On the nanocommunications at THz band in Graphene-enabled wireless network-on-chip," Mathematical Problems in Engineering, vol. 2017, Article ID 9768604, 13 pages, 2017 (Invited Paper) (download). [J24] S. Lee, D. B. da Costa, Q.-T. Vien, T. Q. Duong, and R. T. de Sousa Jr, "Non-orthogonal multiple access schemes with partial relay selection," IET Communications, vol. 11, no. 6, pp. 846-854, 2017 (download). [J23] M. A. Hassan, Q.-T. Vien, and M. Aiash, "Software defined networking for wireless sensor networks: A survey," Advances in Wireless Communications and Networks, vol. 3, no. 2, pp. 10-22, 2017 (download). [J22] I. Karim, Q.-T. Vien, T. A. Le, and G. Mapp, "A comparative experimental design and performance analysis of Snort-based intrusion detection system in practical computer networks," Computers, vol. 6, no. 1, pp. 1-15, 2017 (download). [J21] M. O. Agyeman, Q.-T. Vien, A. Ahmadinia, A. Yakovlev, K.-F. Tong, and T. Mak, “A resilient 2-D waveguide communication fabric for hybrid wired-wireless NoC design,” IEEE Transactions on Parallel and Distributed Systems, vol. 28, no. 2, pp. 359-373, Feb. 2017 (download). [J20] R. Trestian, P. Shah, H. X. Nguyen, Q.-T. Vien, O. Gemikonakli, and B. Barn, “Towards connecting people, locations and real-world events in a cellular network,” Telematics and Informatics, vol. 34, no. 1, pp. 244–271, Feb. 2017. [J19] Q.-T. Vien, T. A. Le, B. Barn, and C. V. Phan, “Optimising energy efficiency of NOMA for wireless downlink in heterogeneous CRAN,” IET Communications - Special Issue: “Green Computing and Telecommunications Systems”, vol. 10, no. 18, pp. 2516-2524, 2016 (download). [J18] Q.-T. Vien, H. X. Nguyen, R. Trestian, P. Shah, and O. Gemikonakli, “A hybrid double-threshold based cooperative spectrum sensing over fading channels,” IEEE Transactions on Wireless Communications, vol. 15, no. 3, pp. 1821-1834, Mar. 2016 (download). [J17] Q.-T. Vien, H. X. Nguyen, and A. Nallanathan, “Cooperative spectrum sensing with secondary user selection for cognitive radio networks over Nakagami-m fading channels,” IET Communications, vol. 10, no. 1, pp. 91–97, 2016 (download). [J16] Q.-T. Vien, W. Tu, H. X. Nguyen, and R. Trestian, “Cross-layer topology design for network coding based wireless multicasting,” Computer Networks, vol. 88, pp. 27–39, Sep. 2015 (download). [J15] T. A. Le, H. X. Nguyen, Q.-T. Vien, and M. Karamanoglu, “Secure information transmission and power transfer in cellular networks,” IEEE Communications Letters, vol. 19, no. 9, pp. 1532–1535, Sep. 2015. [J14] D. To, H. X. Nguyen, Q.-T. Vien, and L.-K. Huang, “Power allocation for HARQ-IR sys- tems under QoS constraints and limited feedback,” IEEE Transactions on Wireless Communications, vol. 14, no. 3, pp. 1581–1594, Mar. 2015. [J13] Q.-T. Vien, H. X. Nguyen, B. Barn, and X.-N. Tran, “On the perspective transformation for efficient relay placement in wireless multicast networks,” IEEE Communications Letters, vol. 19, no. 2, pp. 275–278, Feb. 2015. [J12] Q.-T. Vien, H. X. Nguyen, B. G. Stewart, J. Choi, and W. Tu, “On the energy-delay tradeoff and relay positioning of wireless butterfly networks,” IEEE Transactions on Vehicular Technology, vol. 64, no. 1, pp. 159–172, Jan. 2015. [J11] Q.-T. Vien and H. X. Nguyen, “Network coding-based channel quality indicator reporting for two-way multi-relay networks,” Wireless Communications and Mobile Computing, vol. 14, no. 15, pp. 1471-1483, Oct. 2014. [J10] Q.-T. Vien, B. G. Stewart, H. X. Nguyen, and Orhan Gemikonakli, “Distributed space-time-frequency block code for cognitive wireless relay networks,” IET Communications, vol. 8, no. 5, pp. 754–766, 2014. [J9] Q.-T. Vien, B. G. Stewart, H. Tianfield, and H. X. Nguyen, “Efficient cooperative spectrum sensing for three-hop cognitive wireless relay networks,” IET Communications, vol. 7, no. 2, pp. 119–127, 2013. [J8] Q.-T. Vien, B. G. Stewart, and H. X. Nguyen, “Outage probability of regenerative protocols for two-source two-destination networks,” Wireless Personal Communications, vol. 69, no. 4, pp. 1969–1981, Apr. 2013. [J7] Q.-T. Vien, B. G. Stewart, H. Tianfield, H. X. Nguyen, and J. Choi, “An efficient network coded ARQ for multisource multidestination relay networks over mixed flat fading channels,” AEU International Journal of Electronics and Communications, vol. 67, no. 4, pp. 282–288, Apr. 2013. [J6] Q.-T. Vien, B. G. Stewart, H. Tianfield, and H. X. Nguyen, “Cooperative retransmission for wireless regenerative multirelay networks,” IEEE Transactions on Vehicular Technology, vol. 62, no. 2, pp. 735–747, Feb. 2013. [J5] Q.-T. Vien, H. X. Nguyen, J. Choi, B. G. Stewart, and H. Tianfield, “Network coding-based block acknowledgement scheme for wireless regenerative relay networks,” IET Communications, vol. 6, no. 16, pp. 2593–2601, 2012. [J4] L.-N. Tran, Q.-T. Vien, and E.-K. Hong, “Unique word-based distributed space-time block codes for two-hop wireless relay networks,” IET Communications, vol. 6, no. 7, pp. 715–723, 2012. [J3] Q.-T. Vien, L.-N. Tran, and H. X. Nguyen, “Efficient ARQ retransmission schemes for two-way relay networks,” Journal of Communications Software and Systems, vol. 7, no. 1, pp. 9–15, Mar. 2011 (Invited Paper). [J2] Q.-T. Vien, L.-N. Tran, and E.-K. Hong, “Network coding-based retransmission for relay aided multisource multicast networks,” EURASIP Journal on Wireless Communications and Networking, vol. 2011, Article ID 643920, 10 pages, 2011. [J1] Q.-T. Vien, L.-N. Tran, and E.-K. Hong, “Distributed space-time block code over mixed Rayleigh and Rician frequency selective fading channels,” EURASIP Journal on Wireless Communications and Networking, vol. 2010, Article ID 385872, 9 pages, 2010. [C45] R. Trestian, Q.-T. Vien, P. Shah, and G. Mapp, "UEFA-M: Utility-based energy efficient adaptive multimedia mechanism over LTE HetNet small cells," in Proceedings IEEE International Symposium on Wireless Communication Systems (ISWCS 2017), Bologna, Italy, Aug. 2017, pp. 408-413. [C44] Q.-T. Vien, T. A. Le, and T. Q. Duong, "Opportunistic secure transmission for wireless relay networks with modify-and-forward protocol," in Proceedings IEEE International Conference on Communications (ICC 2017), Paris, France, May 2017, pp. 4035-4040. [C43] Q.-T. Vien, T. A. Le, C. V. Phan, and M. O. Agyeman, "An energy-efficient NOMA for small cells in heterogeneous CRAN under QoS constraints," in Proceedings European Wireless Conference (EW 2017), Dresden, Germany, May 2017, pp. 80-85. [C42] K. Ali, H. X. Nguyen, P. Shah, Q.-T. Vien, and E. Ever, "D2D multi-hop relaying services towards disaster communication system," in Proceedings International Conference on Telecommunication (ICT 2017) - Workshop on 5G Networks for Public Safety and Disaster Management (IWNDP 2017), Limassol, Cyprus, May 2017. [C41] Q.-T. Vien, T. A. Le, X.-S. Yang, and T. Q. Duong, "On the handover security key update and residence management in LTE networks,'' in Proceedings IEEE Wireless Communications and Networking Conference (WCNC 2017), San Francisco, CA, USA, Mar. 2017, pp. 1-6. [C40] H. Q. Tran, P. Q. Truong, C. V. Phan, and Q.-T. Vien, "On the energy efficiency of NOMA for wireless backhaul in multi-tier heterogeneous CRAN," in Proceedings International Conference on Recent Advances on Signal Processing, Telecommunications & Computing (SigTelCom 2017), Da Nang, Vietnam, Jan. 2017, pp. 229-234 (Invited Paper). [C39] T. A. Le, Q.-T. Vien, H. X. Nguyen, D. W. K. Ng, and R. Schober, “Robust optimization with probabilistic constraints for green and secure SWIPT,” in Proceedings IEEE Global Communications Conference (GLOBECOM 2016), Washington, DC USA, Dec. 2016. [C38] M. O. Agyeman, Q.-T. Vien, G. Hill, S. J. Turner, and T. Mak, "An efficient channel model for evaluating wireless NoC architectures," in Proceedings International Symposium on Computer Architecture and High Performance Computing (SBAC-PAD 2016) - Workshop on Applications for Multi-Core Architectures (WAMCA 2016), Los Angeles, California, USA, Oct. 2016. [C37] K. Ali, H. X. Nguyen, P. Shah, and Q.-T. Vien, "Energy efficient and scalable D2D architecture design for public safety network," in Proceedings International Conference on Advanced Communication Systems and Information Security (ACOSIS 2016), Marrakesh, Morocco, Oct. 2016. [C36] T. A. Le, K. Navaie, Q.-T. Vien, and H. X. Nguyen, "Beamforming in coexisting wireless systems with uncertain channel state information," in Proceedings IEEE Vehicular Technology Conference (VTC 2016-Fall), Montreal, Canada, Sep. 2016 (Invited Paper). [C35] M. O. Agyeman, Q.-T. Vien, and T. Mak, “An analytical channel model for emerging wireless networks-on-chip,” in Proceedings IEEE/IFIP International Conference on Embedded and Ubiquitous Computing (EUC 2016), Paris, France, Aug. 2016 (Best Paper). [C34] Q.-T. Vien, T. A. Le, H. X. Nguyen, and H. Phan, “A secure network coding based modify-and-forward scheme for cooperative wireless relay networks,” in Proceedings IEEE Vehicular Technology Conference (VTC 2016-Spring), Nanjing, China, May 2016, pp. 1-5. [C33] K. Ali, H. X. Nguyen, P. Shah, Q.-T. Vien, and N. Bhuvanasundaram, “Architecture for public safety network using D2D communication,” in Proceedings IEEE Wireless Communications and Networking Conference (WCNC 2016) - Workshop on Communications in Extreme Conditions (ComExCon 2016), Doha, Qatar, Apr. 2016, pp. 206-211. [C32] T. A. Le, H. X. Nguyen, Q.-T. Vien, and M. Karamanoglu, “Secure information transmission in the presence of energy-harvesting eavesdroppers in multi-cell networks,” in Proceedings IEEE Global Communications Conference (GLOBECOM 2015), San Diego, CA, USA, Dec. 2015, pp. 1-6. [C31] R. Trestian, Q.-T. Vien, P. Shah, and G. Mapp, “Exploring energy consumption issues for multimedia streaming in LTE HetNet small cells,” in Proceedings IEEE Local Computer Networks Conference (LCN 2015), Florida, USA, Oct. 2015, pp. 498–501. [C30] N. Bhuvanasundaram, H. X. Nguyen, R. Trestian, and Q.-T. Vien, “Sum-rate analysis of cell edge users under cooperative NOMA,” in Proceedings IFIP Wireless and Mobile Networking Conference (WMNC 2015), Munich, Germany, Oct. 2015, pp. 239–244. [C29] M. O. Agyeman, J.-X. Wan, Q.-T. Vien, W. Zong, A. Yakovlev, K. Tong, and T. Mak, “On the design of reliable hybrid wired-wireless network-on-chip architectures,” in Proceedings IEEE International Symposium on Embedded Multicore/Many-core Systems-on-Chip (MCSoC-15), Turin, Italy, Sep. 2015, pp. 251–258. [C28] Q.-T. Vien, T. A. Le, H. X. Nguyen, and M. Karamanoglu, “An energy-efficient resource allocation for optimal downlink coverage in heterogeneous wireless cellular networks,” in Proceedings IEEE International Symposium on Wireless Communication Systems (ISWCS 2015), Brussels, Belgium, Aug. 2015, pp. 156–160. [C27] Q.-T. Vien, T. Akinbote, H. X. Nguyen, R. Trestian, and O. Gemikonakli, “On the coverage and power allocation for downlink in heterogeneous wireless cellular networks,” in Proceedings IEEE International Conference on Communications (ICC 2015), London, UK, Jun. 2015, pp. 4641–4646. [C26] R. Trestian, Q.-T. Vien, H. X. Nguyen, and O. Gemikonakli, “ECO-M: Energy-efficient cluster-oriented multimedia streaming in a LTE D2D environment,” in Proceedings IEEE International Conference on Communications (ICC 2015), London, UK, Jun. 2015, pp. 55–61. [C25] R. Trestian, Q.-T. Vien, H. X. Nguyen, and O. Gemikonakli, “On the impact of video content type on the mobile video quality assessment and energy consumption,” in Proceedings IEEE International Symposium on Broadband Multimedia Systems and Broadcasting (BMSB 2015), Ghent, Belgium, Jun. 2015, pp. 1–6. [C24] Q.-T. Vien, N. Ogbonna, H. X. Nguyen, R. Trestian, and P. Shah, “Non-orthogonal multiple access for wireless downlink in cloud radio access networks,” in Proceedings European Wireless Conference (EW 2015), Budapest, Hungary, May. 2015, pp. 434–439. [C23] R. Trestian, P. Shah, H. X. Nguyen, Q.-T. Vien, O. Gemikonakli, and B. Barn, “Towards connecting people, locations and real-world events in a cellular network,” in The main conference on the scientific analysis of mobile phone datasets (NetMob 2015), Cambridge, Massachusetts, USA, Apr. 2015. [C22] K. Ali, H. X. Nguyen, Q.-T. Vien, and P. Shah, “Disaster management communication networks: Challenges and architecture design,” in Proceedings IEEE International Conference on Pervasive Computing and Communications (PerCom 2015) - Workshop on Pervasive Networks for Emergency Management (PerNEM 2015), St. Louis, Missouri, USA, Mar. 2015, pp. 537–542. [C21] Q.-T. Vien, H. X. Nguyen, L.-N. Tran, and E.-K. Hong, “Double-threshold based cooperative spectrum sensing over imperfect channels,” in Proceedings IEEE Wireless Communications and Networking Conference (WCNC 2015), New Orleans, Louisiana, USA, Mar. 2015, pp. 293–298. [C20] D. To, H. X. Nguyen, Q.-T. Vien, and L.-K. Huang, “Resource allocation for HARQ-IR systems with QoS constraints and limited feedback,” in Proceedings IEEE Global Communications Conference (GLOBECOM 2014), Austin, Texas, USA, Dec. 2014, pp. 4226-4231. [C19] Q.-T. Vien, H. X. Nguyen, O. Gemikonakli, and B. Barn, “An efficient cooperative spectrum sensing under bandwidth constraint with user selection,” in Proceedings IEEE Vehicular Technology Conference (VTC 2014-Fall), Vancouver, Canada, Sep. 2014, pp. 1–5. [C18] Q.-T. Vien, W. Tu, H. X. Nguyen, and R. Trestian, “Cross-layer optimisation for topology design of wireless multicast networks via network coding,” in Proceedings IEEE Local Computer Networks Conference (LCN 2014), Edmonton, Canada, Sep. 2014, pp. 466–469. [C17] Q.-T. Vien, H. X. Nguyen, R. Trestian, P. Shah, and O. Gemikonakli, “Performance analysis of cooperative spectrum sensing for cognitive wireless radio networks over Nakagami-m fading channels,” in Proceedings IEEE Symposium on Personal, Indoor and Mobile Radio Communications (PIMRC 2014), Washington, DC USA, Sep. 2014, pp. 738–742. [C16] Q.-T. Vien, H. X. Nguyen, and T. Le-Ngoc, “An efficient hybrid double-threshold based energy detection for cooperative spectrum sensing,” in Proceedings Queen’s Biennial Symposium on Communications (QBSC 2014), Kingston, Ontario, Canada, Jun. 2014, pp. 42–46. [C15] Q.-T. Vien, H. X. Nguyen, P. Shah, E. Ever, and D. To, “Relay selection for efficient HARQ-IR protocols in relay-assisted multisource multicast networks,” in Proceedings IEEE Vehicular Technology Conference (VTC 2014-Spring), Seoul, Korea, May 2014, pp. 1–5. [C14] Q.-T. Vien, H. X. Nguyen, O. Gemikonakli, and B. Barn, “Performance analysis of cooperative transmission for cognitive wireless relay networks,” in Proceedings IEEE Global Communications Conference (GLOBECOM 2013), Atlanta, Georgia, USA, Dec. 2013, pp. 4186–4191. [C13] Q.-T. Vien, H. X. Nguyen, and W. Tu, “Optimal relay positioning for green wireless network-coded butterfly networks,” in Proceedings IEEE Personal, Indoor and Mobile Radio Communications Symposium (PIMRC 2013), London, UK, Sep. 2013, pp. 286–290. [C12] Q.-T. Vien, B. G. Stewart, J. Choi, and H. X. Nguyen, “On the energy efficiency of HARQ-IR protocols for wireless network-coded butterfly networks,” in Proceedings IEEE Wireless Communications and Networking Conference (WCNC 2013), Shanghai, China, Apr. 2013, pp. 2559– 2564. [C11] Q.-T. Vien, B. G. Stewart, H. Tianfield, and H. X. Nguyen, “An efficient cooperative retransmission for wireless regenerative relay networks,” in Proceedings IEEE Global Communications Conference (GLOBECOM 2012), Anaheim, California, USA, Dec. 2012, pp. 4417–4422. [C10] Q.-T. Vien, H. Tianfield, and B. G. Stewart, “Efficient cooperative spectrum sensing for cognitive wireless relay networks over Rayleigh flat fading channels,” in Proceedings IEEE Vehicular Technology Conference (VTC 2012-Spring), Yokohama, Japan, May 2012, pp. 1–5. [C9] Q.-T. Vien and H. X. Nguyen, “CQI reporting strategies for nonregenerative two-way relay networks,” in Proceedings IEEE Wireless Communications and Networking Conference (WCNC 2012), Paris, France, Apr. 2012, pp. 974–979. [C8] Q.-T. Vien, H. Tianfield, B. G. Stewart, H. X. Nguyen, and J. Choi, “An efficient retransmission strategy for multisource multidestination relay networks over Rayleigh flat fading channels,” in Proceedings IEEE International Symposium on Wireless Personal Multimedia Communications (WPMC 2011), Brest, France, Oct. 2011, pp. 171–175. [C7] Q.-T. Vien, H. X. Nguyen, J. Choi, B. G. Stewart, and H. Tianfield, “Network coding-based block ACK for wireless relay networks,” in Proceedings IEEE Vehicular Technology Conference (VTC 2011-Spring), Budapest, Hungary, May 2011, pp. 1–5. [C6] Q.-T. Vien, L.-N. Tran, and H. X. Nguyen, “Network coding-based ARQ retransmission strategies for two-way wireless relay networks,” in Proceedings IEEE International Conference on Software, Telecommunications and Computer Networks (SoftCOM 2010), Split, Croatia, Sep. 2010, pp. 180–184. [C5] Q.-T. Vien, L.-N. Tran, and E.-K. Hong, “Design of distributed space-time block code for two-relay system over frequency selective fading channels,” in Proceedings IEEE Global Communications Conference (GLOBECOM’09), Honolulu, Hawaii, USA, Nov. 2009, pp. 1–5. [C4] Q.-T. Vien and E.-K. Hong, “Design of quasi-orthogonal space-time block codes for cooperative wireless relay networks over frequency selective fading channels,” in Proceedings IEEE International Conference on Advanced Technologies for Communications (ATC’09), Hai Phong, Vietnam, Oct. 2009, pp. 275–278. [C3] L.-N. Tran, Q.-T. Vien, and Een-Kee Hong, “Training sequence-based distributed space-time block codes with frequency domain equalization,” in Proceedings IEEE Personal, Indoor and Mobile Radio Communications Symposium (PIMRC’09), Tokyo, Japan, Sep. 2009, pp. 501–505. [C2] Q.-T. Vien, D.-T.-H. Nguyen, L.-N. Tran, and E.-K. Hong, “Design of DSTBC and HARQ schemes for turbo-coded cooperative wireless relay networks over frequency selective fading channels,” in Proceedings International Technical Conference on Circuits/Systems, Computers and Communications (ITC-CSCC’09), Jeju Island, Korea, Jul. 2009, pp. 584–587. [C1] Q.-T. Vien, L.-N. Tran, J.-H. Kim, E.-K. Hong, and Yong-Seo Park, “Design of distributed space-time block code for two-hop cooperative wireless relay networks over frequency selective fading channels,” in Proceedings Korea Information and Communications Society Conference (KICS’08), Seoul, Korea, Nov. 2008, pp. 282–285. [BC5] K. Ali, H. X. Nguyen, P. Shah, Q.-T. Vien, and E. Ever, Internet of Things (IoT) considerations, requirements, and architectures for disaster management system. In: Performability in the Internet of Things, Springer, pp. 111-125, ISBN 9783319935560, 2019. [BC4] H. Q. Tran, C. V. Phan, and Q.-T. Vien, An overview of 5G technologies. In: Emerging Wireless Communication & Network Technologies: Principle, Paradigm and Performance, Springer, pp. 59-80, ISBN 9789811303951, 2018. [BC3] Q.-T. Vien, Optimization of relay placement in wireless butterfly networks. In: Nature-Inspired Algorithms and Applied Optimization, Studies in Computational Intelligence, vol 744, Springer, pp. 275-311, ISBN 9783319676685, 2018. [BC2] Q.-T. Vien, N. Ogbonna, H. X. Nguyen, R. Trestian, and P. Shah, Performance evaluation of NOMA under wireless downlink cloud radio access networks environments. In: 5G Radio Access Networks: Centralized RAN, Cloud-RAN and Virtualization of Small Cells, CRC Press, pp. 67-84, ISBN 9781498747103, 2017. [BC1] N. Bhuvanasundaram, H. X. Nguyen, R. Trestian, and Q.-T. Vien, Non-orthogonal multiple access schemes for next-generation 5G networks: A survey. In: 5G Radio Access Networks: Centralized RAN, Cloud-RAN and Virtualization of Small Cells, CRC Press, pp. 51-66, ISBN 9781498747103, 2017. [B3] Q.-T. Vien, Network Design, Modelling and Performance Evaluation, to be published in IET Books, ISBN 9781785613364, 2018. [B2] I. Karim and Q.-T. Vien, Snort-based intrusion detection system for practical computer networks: Implementation and comparative study, LAP LAMBERT Academic Publishing, ISBN 9783659693298, 2017. [B1] Q.-T. Vien, Distributed space-time block codes for relay networks: Design for frequency-selective fading channels, LAP LAMBERT Academic Publishing, ISBN 9783844308990, 2011. (PhD) Q.-T. Vien, Cooperative diversity techniques for high-throughput wireless relay networks, British Library Electronic Theses On-line System (EThOS), EThOS Persistent ID: uk.bl.ethos.576711, 2013 (download). (MSc) Q.-T. Vien, Design of distributed space-time block codes for relay networks, Research Information Service System (RISS) - Korea Education & Research Information Service (KERIS), 2009 (download). Newton Researcher Link Travel Grant (Sep. 2017, Istanbul, Turkey - Funder: British Council), Workshop: "Disaster Management: An Information & Communications Technology Approach with 5G-and-Beyond Communications & Networks"
Visit and deliver an invited talk at Queen's University Belfast, Northern Ireland, UK (Aug. 2016). Topic: "Physical-Layer Security & NOMA in Cooperative Wireless Networks,"
Deliver an invited talk at Newton Researcher Link Workshop, Istanbul, Turkey (Sep. 2017). Topic: "Opportunistic Secure Cooperative Transmission for Regenerative Relay Networks with Network Coding"